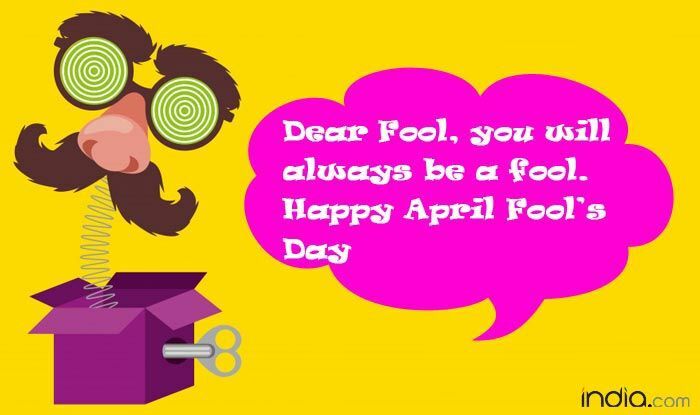 April Fools’ Day 2019 or All Fools’ Day will be celebrated worldwide on April 1, Monday, with people pulling off the jokes and pranks and sending crazy things to everyone. On this day, we sing “Ullu banaya bada mazza aaya”. 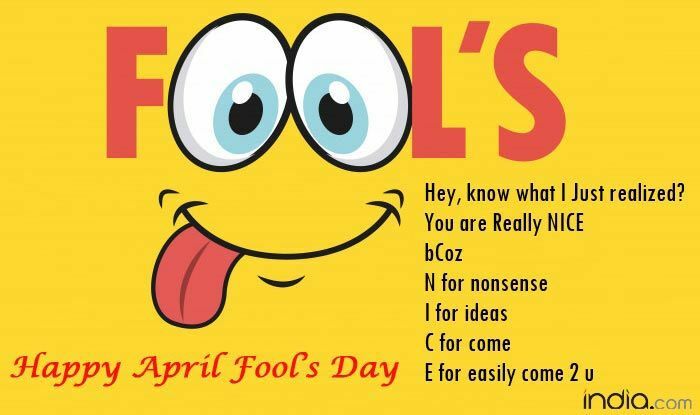 These days it’s cool to make people fool, so brace yourself, we have pranks and practical jokes for you. 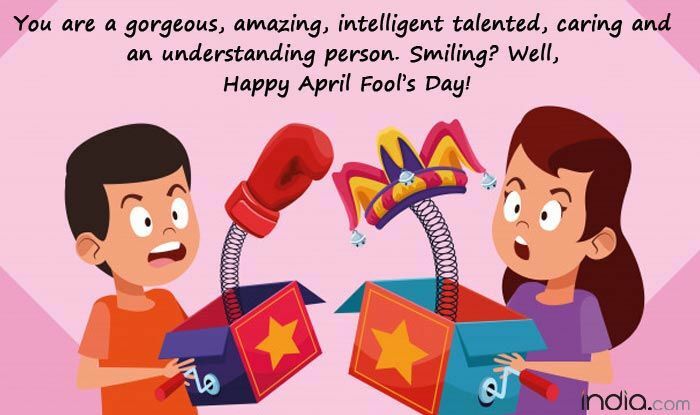 Everyone across the globe work on to pull the best of pranks in person and send funny messages, mean jokes, SMS, crazy April Fools’ Day quotes, rib-tickling WhatsApp GIF images just to trouble the person. B. I. T. C. H.
Hey, know what I Just realized? 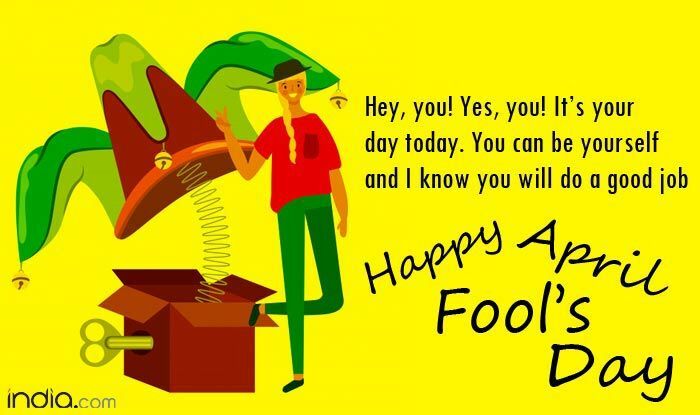 Dear Fool, you will always be a fool. 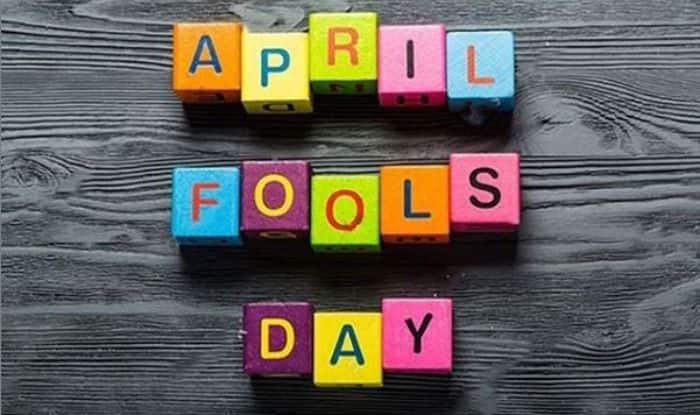 Happy April Fool’s Day. 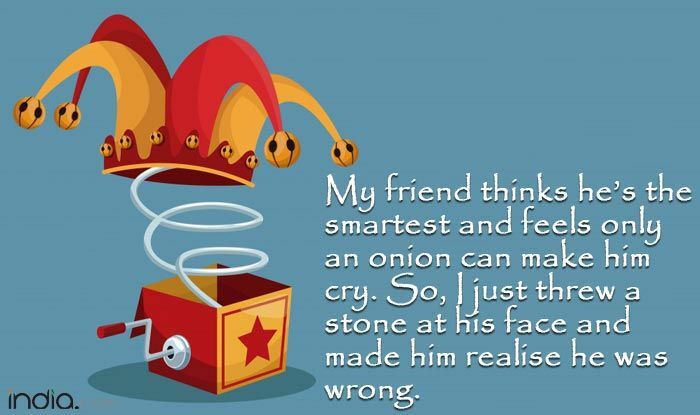 My friend thinks he’s the smartest and feels only an onion can make him cry. So, I just threw a stone at his face and made him realise he was wrong. 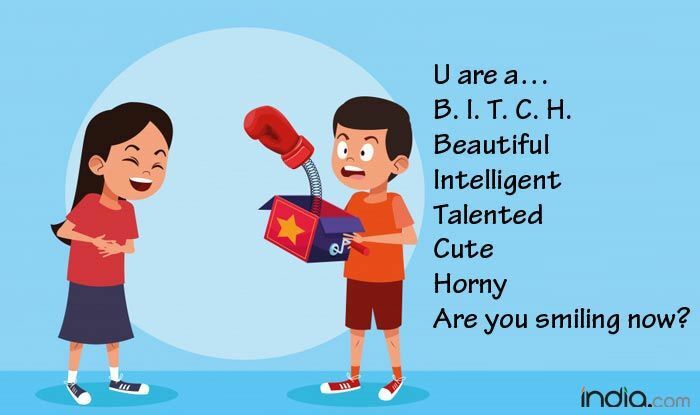 You are a gorgeous, amazing, intelligent talented, caring and an understanding person. Smiling? 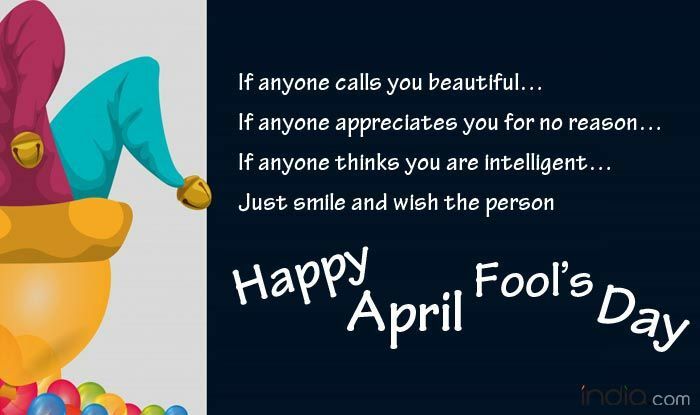 Well, Happy April Fool’s Day! 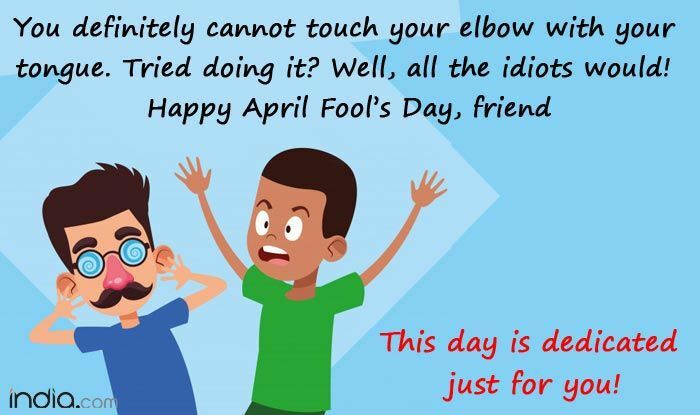 You definitely cannot touch your elbow with your tongue. Tried doing it? 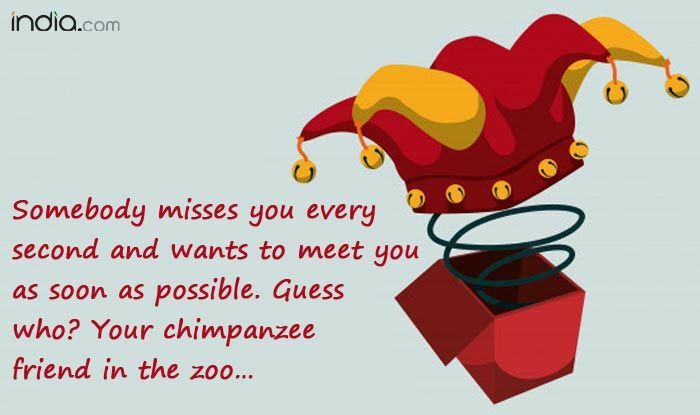 Well, all the idiots would! 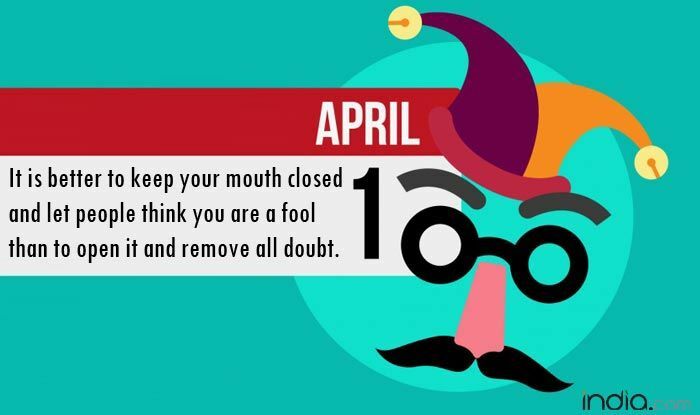 Happy April Fool’s Day, friend. 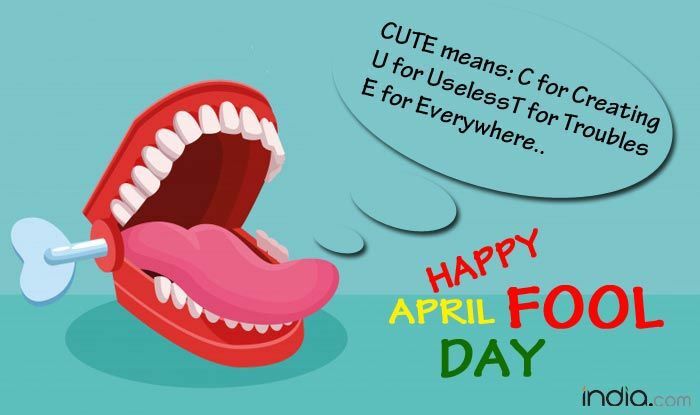 This day is dedicated just for you! 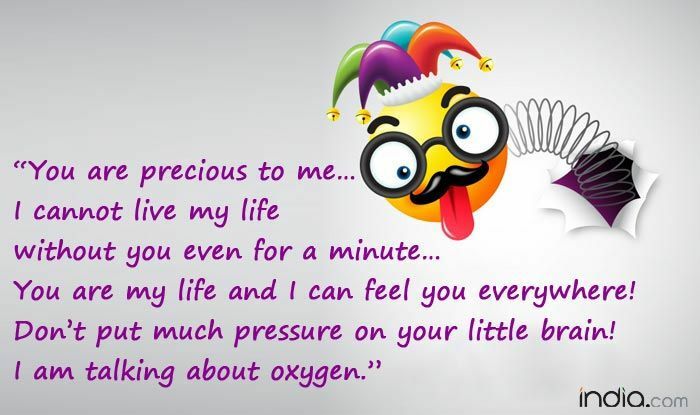 You are my life and I can feel you everywhere!